The news media industry’s quarterly digital ad revenue has grown 14.4% since 2015. The Australian news media sector’s second quarter digital ad revenue was $116.9 million, a 14.4% increase on the same quarter’s revenue of $102.2 million in 2015, according to data from NewsMediaWorks. The impressive increase was not enough to carry the entire industry, as the News Media Index quarterly figures reveal a 5.4% drop in total industry ad revenue from same quarter 2015. This drop in total revenue is explained by a drop of 9.4% for print media ad revenue, and newspaper inserted magazines’ 7.1% drop. Print news ad revenue dropped from $485.9 million in Q2 2015 to $440 million in Q2 2016. “Growth of 14.4% in digital revenue for Q2 demonstrates the ongoing success of the industry in its transformation to create a profitable balance of print and digital news media offerings,” says NewsMediaWorks CEO Mark Hollands. 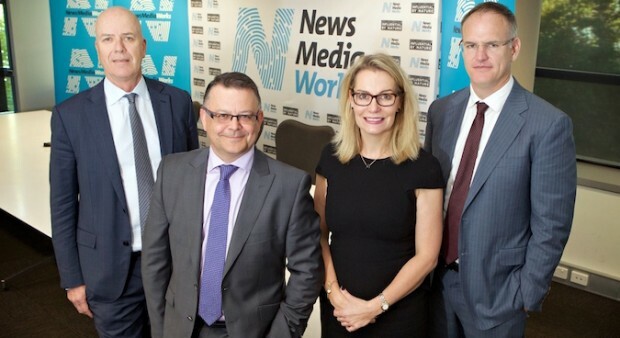 The revenue data is taken from NewsMediaWorks’ foundation members, News Corp Australia, Fairfax Media, West Australian Newspapers and APN News & Media, who represent approximately 90% of the news media sector. SMI extracts the information directly from publisher financial systems. “The buying decisions of media agencies continue to be out of sync with those of direct advertisers,” says Hollands. “This disparity is significant. Advertisers with close publisher relationships, and who understand the engagement of their audiences, see the value in news media brands and remain with them because they represent a successful marketing investment,” Hollands said.